Before uninstalling the application server, stop both the node agent and application server. 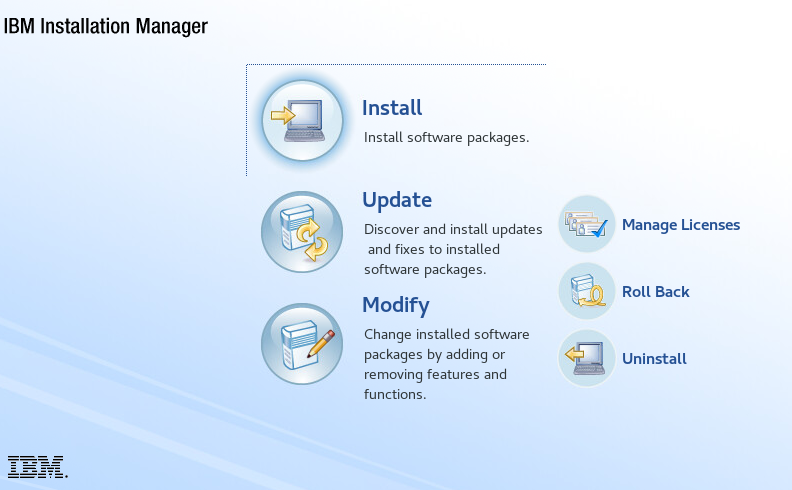 List the installed packages. 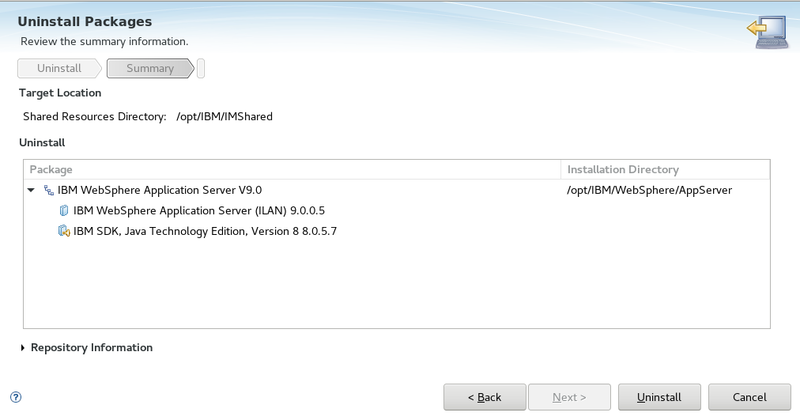 In this example, there are 3 installed packages. 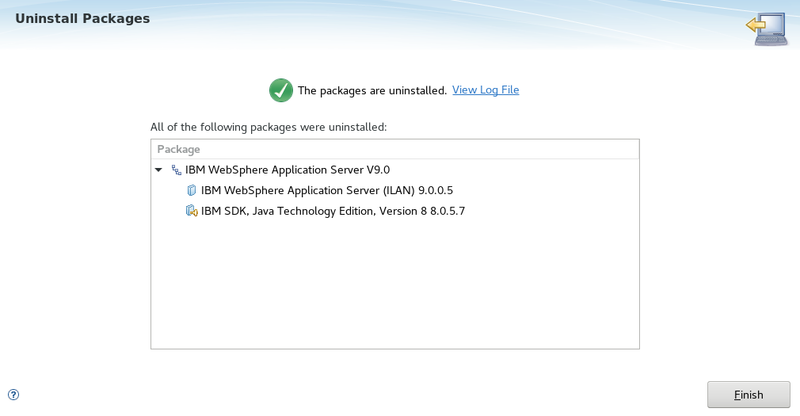 In this example, the BASE (application server) and Java JDK are uninstalled. Instead of -showProgress, the -silent option can be used to not display any output during the uninstall. Upon completion of the uninstall, the following text should be displayed. After the uninstall, there will still be some files and directories left over. If you are absolutely certain that you will have no need for the left over files and directories, removed the left over files and directories. 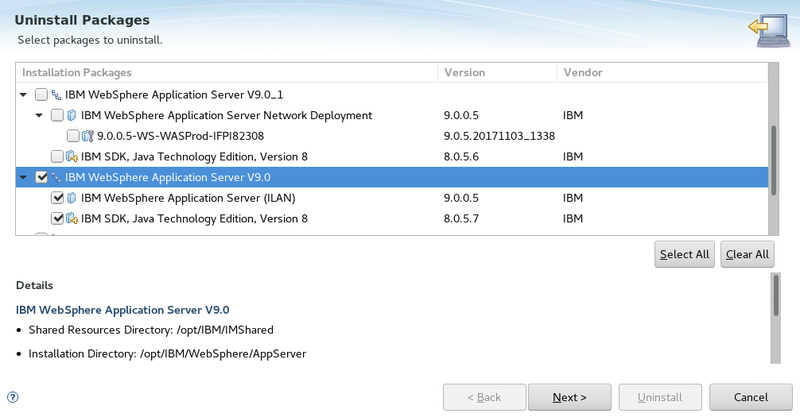 Checkmark the application server and select Next.